Both of Triple Eight Race Engineering’s Commodores have been disqualified from Saturday’s Race 2 of the Dunlop Super2 Series in Adelaide. 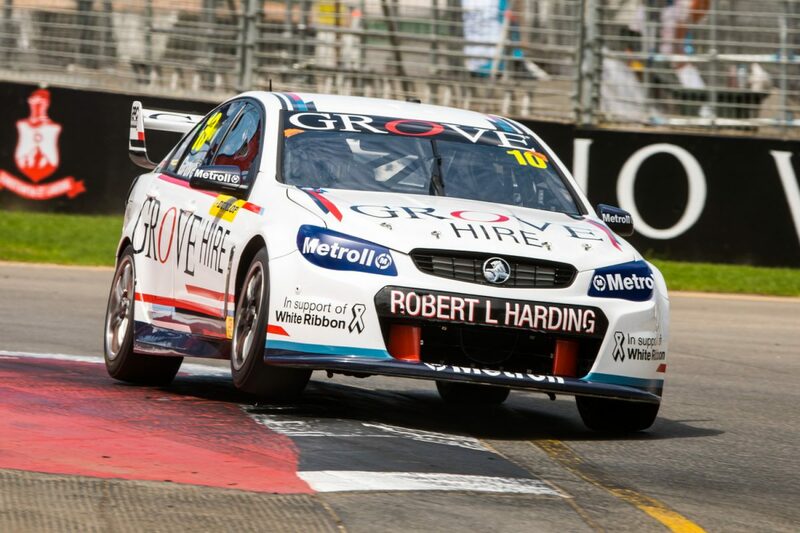 Brenton Grove had finished 10th as Kurt Kostecki drove from the 10th and final row to 13th at the chequered flag. However, they have now had their results stripped from them due to a parc ferme infringement that saw the team place cooling fans on the front of the two VF Commodores pre-race. “Following a Stewards Hearing and finding of a breach of parc ferme rules, the Stewards disqualified Car #10, Brenton Grove, and Car #55, Kurt Kostecki, from Race 2,” read the Stewards Summary. The decision means that Kostecki is back on negative series points after wearing a 35-point penalty for reckless driving in Race 1. He had punted Thomas Randle at the end of Wakefield Street on Lap 1 and careered into the wall at Turn 8 due to the resulting left-front damage. Officials cleared debutant Abbie Eaton of a possible pit stop breach, and Randle for an incident at Turn 2. Race 3 starts today at 1405 local time/1435 AEDT.